The Windows 10 has provided us with numerous applications which can easily be accessed right from the Start menu. 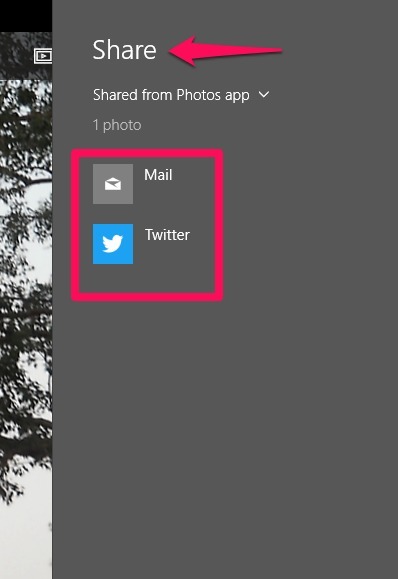 One of the additions to the journey of Windows is the Photos app. Microsoft had launched it along with other additional features like the Windows Store in the Windows 8 version. The Windows 10 had emerged as a blend of its 7 and 8 versions, which is apparent from the Start menu at the desktop, clicking on which you get a tile of applications. Here, we will see some keyboard shortcuts for the Windows photos app. For all those out there who prefer their typing pads over the mouse pads for computation, trust me, this article will be of a great help to you. Once you get used to these, you are never going to leave it behind. 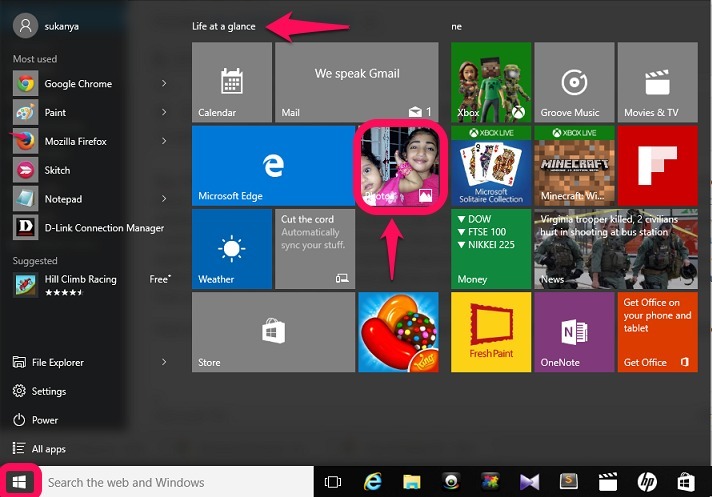 Once you click the Windows icon that appears at the bottom of your desktop, you can find the Photos app under Life at a Glance. By default, you find your recent photos getting displayed as a slide show over there. Clicking over there is going to take you to the collection of all pictures stored on your system. Read on to explore more! Before starting, let me introduce you to the app. 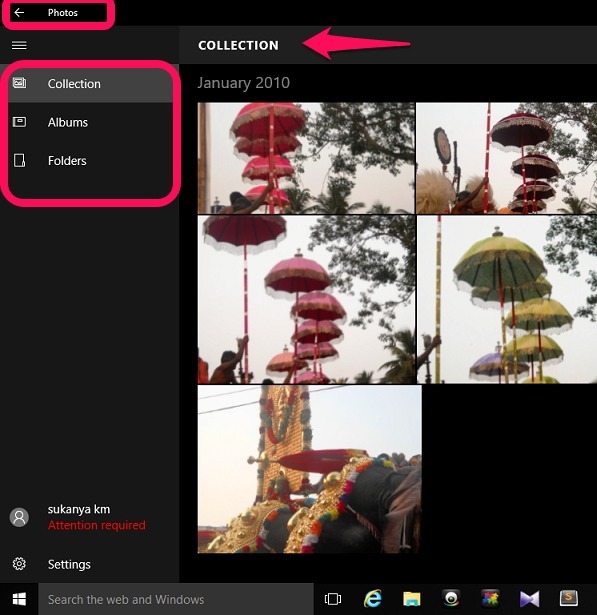 When you click on the 3 horizontal lines at the top, you will find three options Collections, Albums and Folders. Collections contain all the pictures in your system sorted by date, albums bring together those photos which are taken at a particular date and folders sort them according to My Pictures and One Drive. Spacebar – Suppose that you are currently in your collections mode. Pressing this will help select pictures. A checkbox appears on top of every photo as shown above. Check on them to select the pictures. Enter Key– This will open up a photo from the collection to its viewing mode. Ctrl Key + C- This helps you copy a photo. Ctrl Key + O – This will help resetting photo to its original size after zooming it. 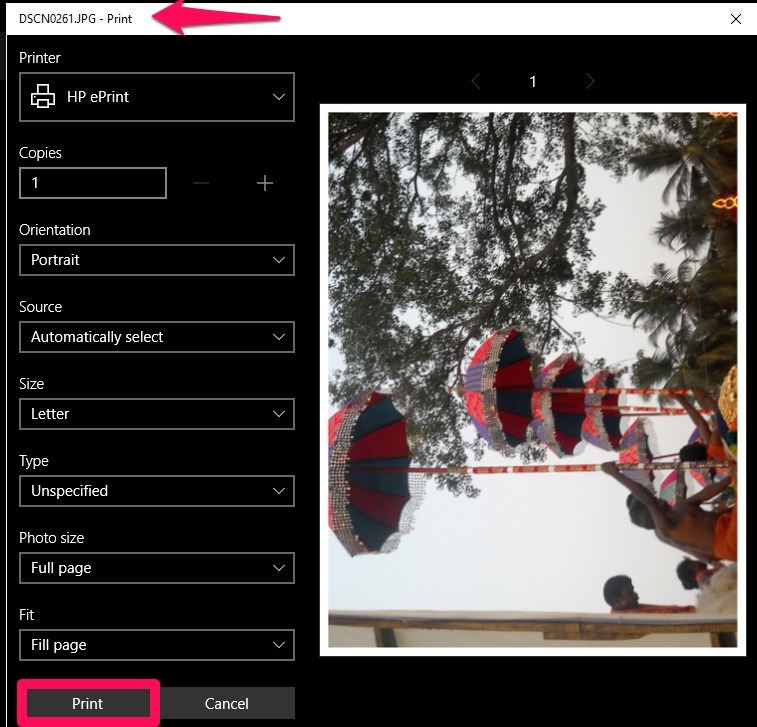 Ctrl Key + P – This is used to print the photo currently selected. Ctrl Key + “+” – This is used to zoom a photo to a larger size when you are viewing it. Ctrl Key + “-” – This is helpful in zooming out a photo to a smaller size. 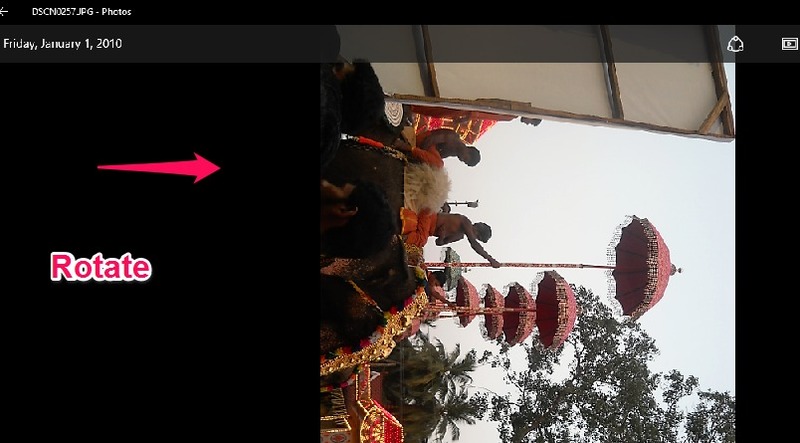 Spacebar while viewing photos – This opens up the menu at top. The menu has options to Edit, Enhance , share the photo and much more. Ctrl Key + S – If you have edited the photo, it helps you save it after modifications. 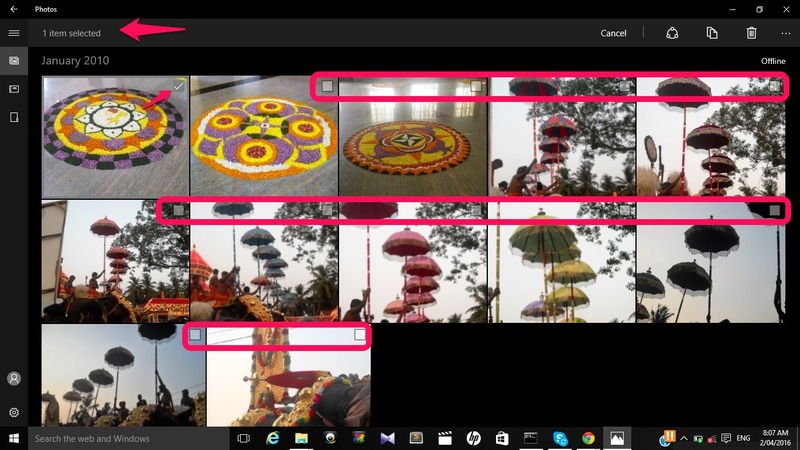 Ctrl Key + Y – If you had gone backward in editing the photos, it helps you redo the changes. Ctrl Key + Z – This helps you undo changes after editing it. Ctrl Key + L – If you have to set the photo you are currently viewing as the lock screen, then this helps. Windows Key + H – This will help you open up the Share charm at the top. You can share your photo you are viewing via twitter or email. E – This is used to enhance the photo, in terms of brightness. Alt + Enter – This will open up the File info from the left, which has information like size, dimensions, device from which it was taken, date, etc. F5 – This will start a slide show of all pictures. Esc – It lets to move on to the previous screen. Ctrl Key + R – This will rotate the picture in all four angles at each press of the keys. That’s it. Try out all the shortcuts mentioned above and have fun!.